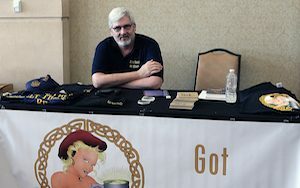 Do You Need to Exhibit at the AMMA MeadCon? A very good question! So, what do AMMA attendees want to see? We have included a list below of the types of companies that offer products our meadery owners and mead makers want. Yeast producers – need we say more? We can’t make mead without it! Honey producers – because that is our main ingredient! Spice shops – we use a lot of spices! Do you have an interesting service or product that could be of use to our attendees? Here is your chance to display it and explain its value face-to-face to our meadery owners and mead makers!